Established in 2005. BJ Industrial Welding Supplies offers a large range of superior products and services to the welding, manufacturing and building industry. BJ’s offers a mobile van complete with a comprehensive range of consumables servicing as far north as Gympie, south to Brendale, the Hinterland and the local Sunshine Coast region. BJ’s has been under new management since September, 2015. We are a local family run business and strive to supply the most comprehensive range of welding equipment and industrial supplies from all leading manufacturers. BJ’s is committed to providing our customers with the best value for money. Whether you are a home handy man or an onsite manager you can be assured our sales team will happily assist you with your enquiry. 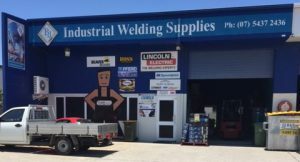 We look forward to BJ Industrial Welding Supplies becoming a preferred supplier and partner to your business.